US-Israeli wealthtech Pagaya is strutting its stuff with $100 million in actively managed asset-backed securities (ABS) – powered by artificial intelligence (AI) – and led by structuring agent Cantor Fitzgerald. Gal Krubiner, Pagaya’s CEO and co-founder, says it’s “paving the way for practical uses of AI in the ABS market” and “we’re just a few years away” from all collateralised loan obligations (CLOs), mortgage-backed securities (MBS) and ABS being managed by AI. 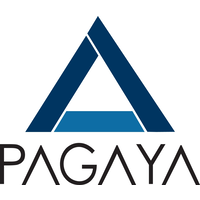 Since its founding in 2016, Pagaya explains that its proprietary AI has created over $450 million in specialised investment solutions. It has an investment team of 20 data scientists and AI specialists. Its AI analyses data points to assess risk in different financial instruments, identify emerging alternative asset classes and seek to generate a stable return. For this new development, Pagaya will use its AI to select and purchase individual loans; “differentiating from traditional ABS mechanics of securitising a pool of previously assembled assets”. Cantor Fitzgerald is a financial services group and one of 23 primary dealers authorised to trade US government securities with The Federal Reserve Bank of New York. As reported in August 2018, Pagaya raised $14 million in a Series B funding round co-led by Oak HC/FT and Harvey Golub, former chairman and CEO of American Express. At that time, it said the funding will help the firm develop its tech and algorithm, as well as its team of data scientists and sales people throughout the world. Aiming to achieve better capabilities, easy integration with core banking systems and a more intuitive design. Access to cash is a key component in Kazakhstan. Reducing the time-consuming, manual, and paper-intensive process "from weeks to minutes". AI lending platform wants to expand its applications.